My favorite trip with Blue Water has been the Molokini Crater and Kanaio Coast trip, which leaves at 7:00 in the morning. It’s a 5-1/2 hour trip and every minute of it was amazing. This tour took my friends and I into sea caves and lava arches of Maui’s remote and rugged Kanaio Coast. 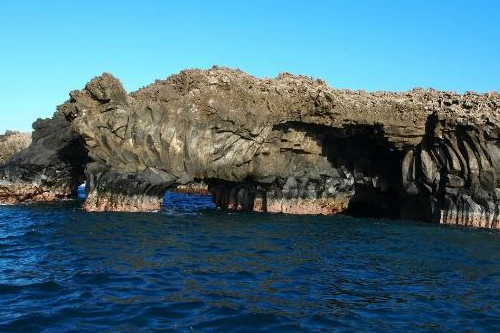 As a history buff, it was incredible to explore the secret coves and lava rock formations that took us back hundreds of years into Maui’s last volcanic eruptive period. My friends who live on island love it, too. Blue Water Rafting departs from a small boat deck in Kihei, so it’s perfect for people who live in Wailea, South Kihei, and Makena and is well worth driving from the west side for a day of fun. 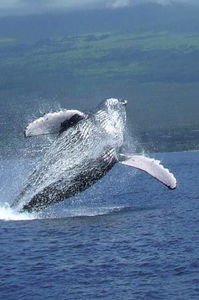 Take my word for it– if you’ve always lived on Maui or it’s your first time here, don’t miss this tour! Book online and find out more information at BlueWaterRafting.com or give them a call at 808-879-7238.